A 17-year-old schoolgirl who was injured when her below-waist-length hair became trapped in the wheels of a go-kart has been awarded damages against a holiday centre. The Circuit Civil Court in Dublin was told that lumps of Alannah Reddin's treasured locks had to be sheared off in order to release her from the go-kart's rear wheels. The teenager, of Maple Avenue, Ballybrack, Co Dublin, was on a family holiday at Trabolgan Holiday Centre in Cork in April 2017 and decided to have a go on one of the centre's main attractions when the accident happened. Counsel for Alannah, Esther Earley, told Judge Terence O'Sullivan the girl had been trapped for almost an hour as staff worked to free her before admitting that her hair would have to be cut to release her. Ms Earley told the court that Trabolgan and Hemway Limited had been responsible for organising a number of activities at their premises but with regard to go-karting they had not exhibited any warnings about the dangers of long hair, despite having done so in relation to other activities. 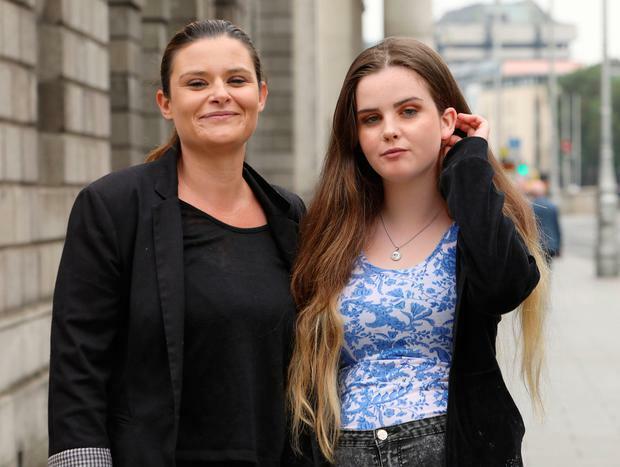 Alannah, who sued the defendants through her mother Emma Reddin, had not been instructed to tie up her very long hair. Ms Earley said that given the nature of go-karting it should have been foreseeable that participants' especially long hair could become entangled in the wheels. The court was told Alannah had developed pain in her scalp and had suffered headaches for a short period following the accident. She did not suffer any lasting problems apart from the length of time it had taken for her hair to re-grow in areas. Judge O'Sullivan, approving a settlement offer of €10,000, felt the figure was an appropriate amount of compensation on the basis that some contributory negligence would have come into play.